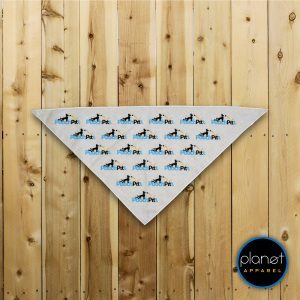 Memorabilia for any occasion: concert, family reunion, sporting events, etc. Printable map bandanas: state and county park map, zoo map, art fair, etc. 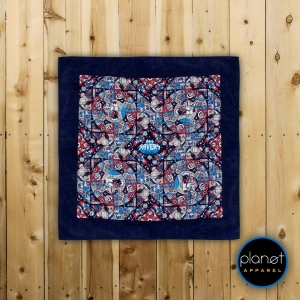 Design styles: Center print, Tiled, 4 corner print, the popular Paisley, and more! 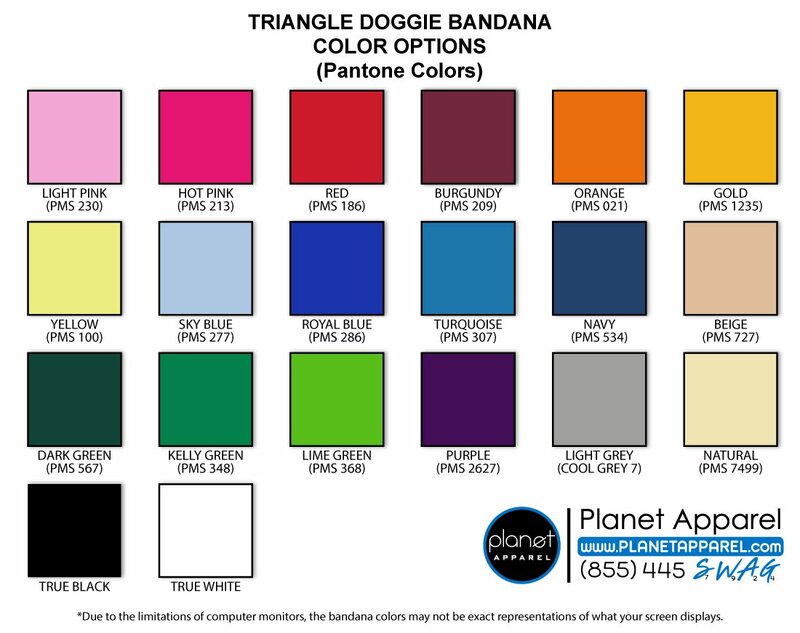 Spirit bandanas: inexpensive marketing product. 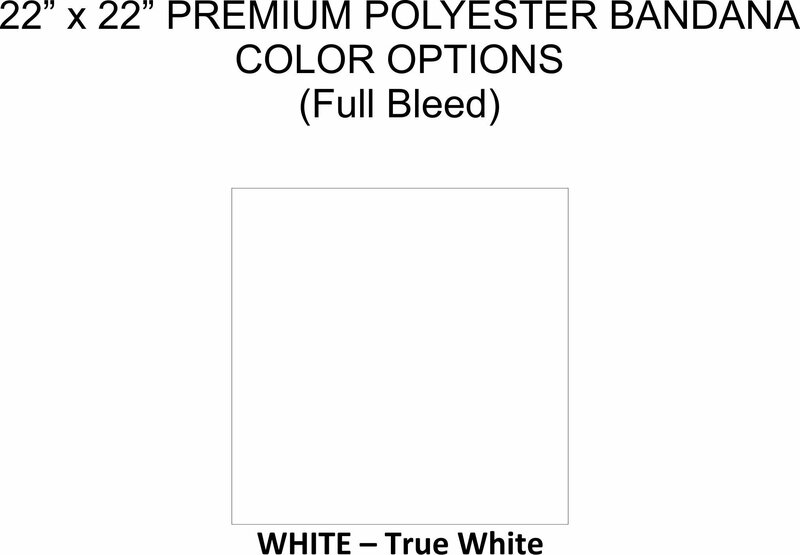 Great for rallies, sporting events, freshman orientation, school pride product, etc. 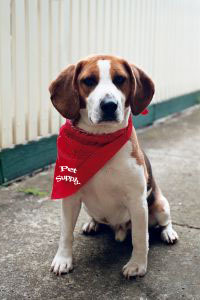 Pet Bandanas: brand your pet store, grooming company, boarding company, etc. Outdoors use: protect from the elements such as the sun, dust, debris, heat, etc. 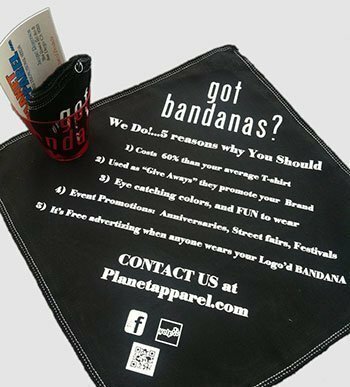 Custom Bandanas will aim and satisfy any market need as well deliver an affordable product, top production quality, and guarantee to impact the intended demographic. 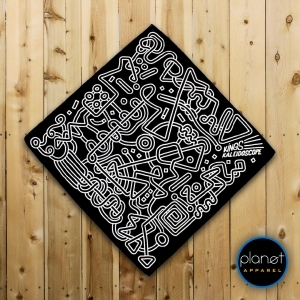 Description: 100% Cotton Premium Quality Bandana. Set up cost: $45 per color. Set up cost: $59 per color. 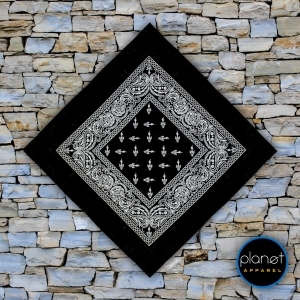 Description: 100% Polyester Premium Quality Bandana. 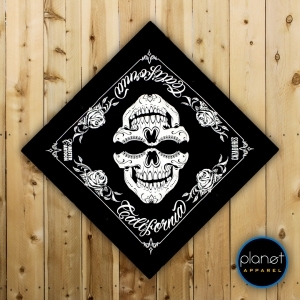 Description: 100% cotton PREMIUM solid color bandana, merrowed hem. 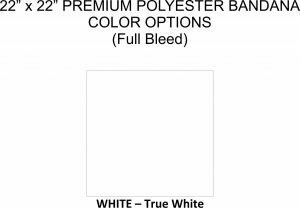 Washer Machine Friendly. 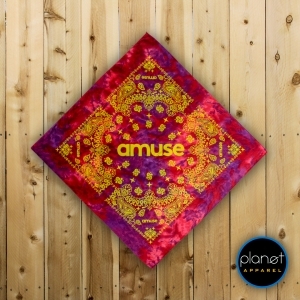 First – Decide on quantity, color(s) of bandana, and imprint color(s). 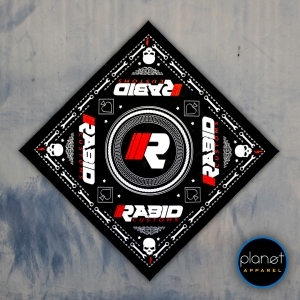 Second – Send your artwork, preferably in final design format. 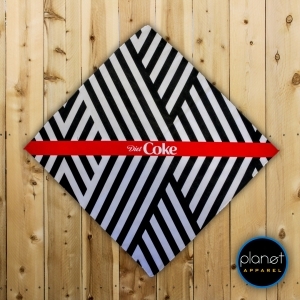 Third – Choose the print position: tiles, corner print, centered, etc. 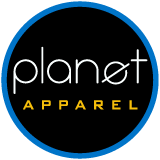 Further questions, feel free to CONTACT us at (858) 569-2090. Accepted file types: jpg, ai, png, eps, pdf, gif, cdr, jpeg, svg.